Happy Halloween, everyone! I’m still playing around with Topaz Adjust, and I pulled out this old JPG file from last March. This picture was taken in Sedona, Arizona, just as the sun was setting behind to trees that were lined up almost perfectly in front of the sunset. 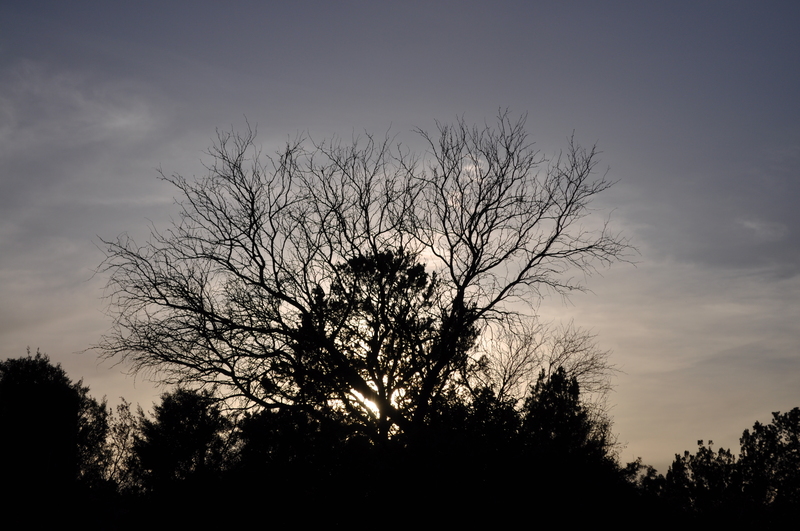 I really liked the silhouette it created against the dusky sky. Be safe everyone, and enjoy this beginning of the fall/winter holiday season! This entry was posted in Processing and tagged Adjust, Arizona, AZ, camera, D5000, Halloween, night, Nikon, photography, Sedona, software, spooky, sunset, Topaz, tree. Bookmark the permalink.